The Gulfport Police Department is accepting applications for our 2019 Spring Semester of the Citizens Police Academy. The academy consists of five, three hour classes that will be held on Thursday evenings starting at 6:00 p.m. on March 14th. The class is limited in space and applications will be considered on a first come first serve basis. The purpose of the Citizen Police Academy is to foster better communication between citizens and police through education. The Academy will create a nucleus of well-informed citizens who possess greater insight into police practices and services. Graduates of the Academy can share their knowledge and experiences with the community as the opportunity arises. Everyone benefits from enhancing citizen understanding of the role and function of their police department. The Gulfport Police Department recognizes that education has been most effective in gaining understanding and support from the community. The Citizen Police Academy offers citizens insights into how police officers perform their duties and how the department serves the community. 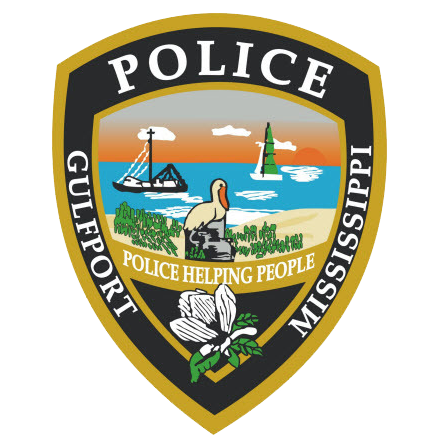 Attendees will learn all aspects of the Gulfport Police Department to include; Patrol Operations, Narcotics Enforcement, Crime Mapping, K-9 Unit, SWAT, and Crime Scene operations. This is a hands on class that is taught in a low stress relaxed atmosphere that will foster learning by all citizens of Gulfport. Any interested citizen who resides or works in the City of Gulfport is encouraged to attend. Citizens involved with the Gulfport community in some way, such as youth involvement, neighborhood watch, and neighborhood groups are very important to the Academy. Must be 18 years of age or older and have no prior felony convictions. To apply or if you have questions please call 228-868-5703 or visit our website @ www.gulfportpolice.net to download an application and read more on the class.